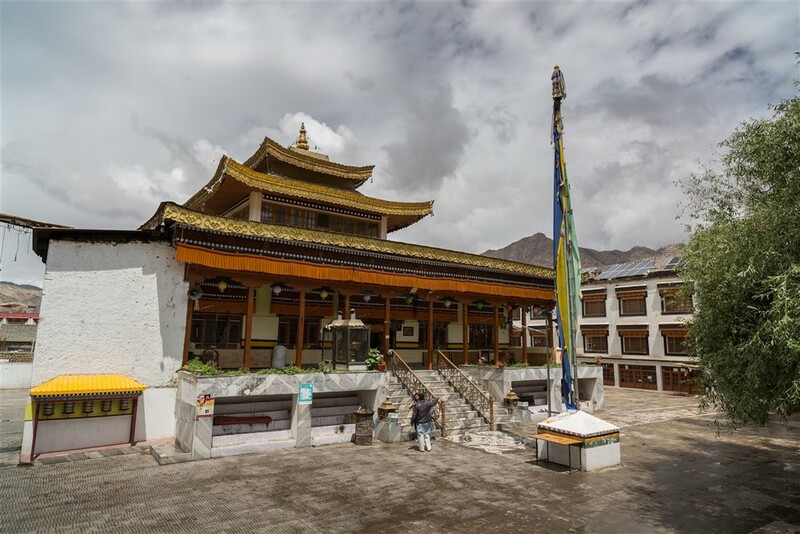 Jokhang Gompa is a large modern gompa just around the corner from Leh’s Main Bazaar. It”s also the location of the Ladakhi Buddhist Association, a conservative political organisation with ties to Hindutva groups. 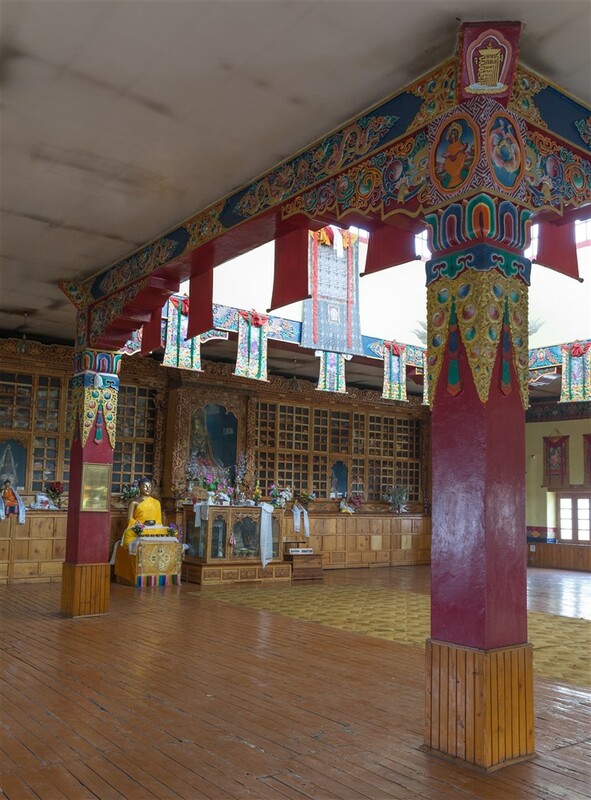 Built in 1957, this is one of the newest monasteries in Leh. Being far more accessible to the local inhabitants, it has led to the almost abandonment of much earlier Gompas (e.g. 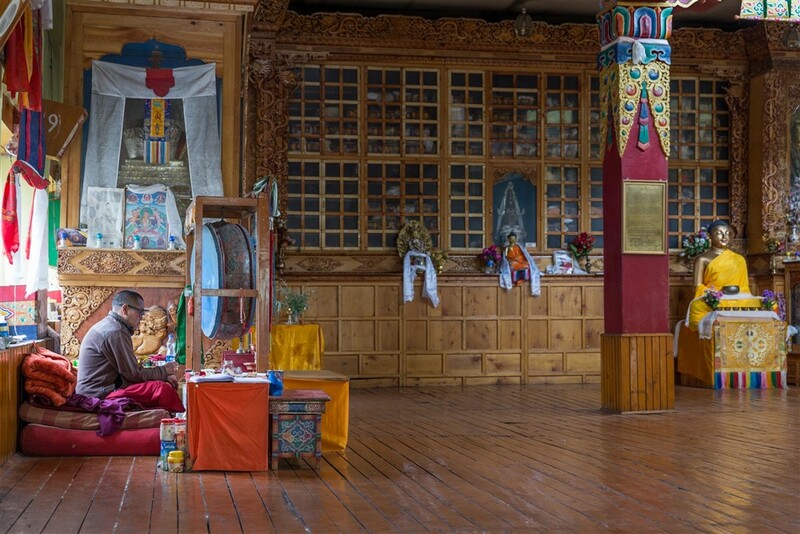 Gompa Soma, Guru Lahaklang, Chamba Lhakhang, and Chenrezig Lhakhang) that reside on the hill just below Leh Palace. 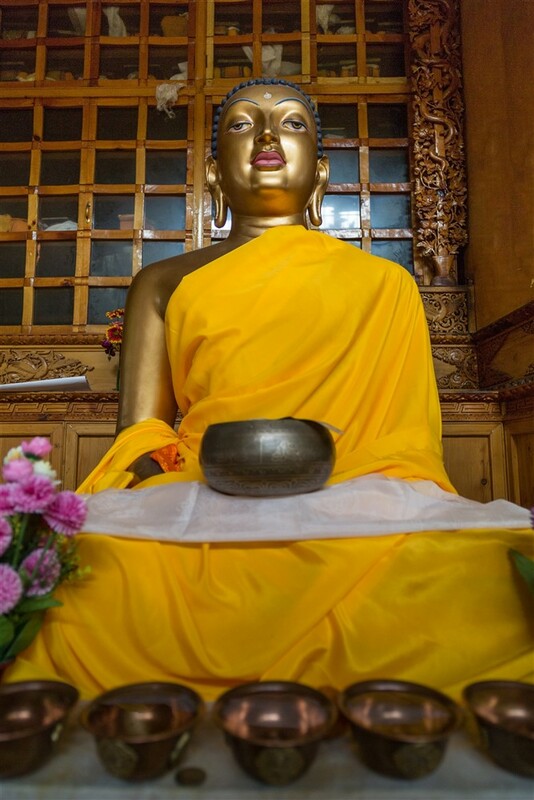 It is also often referred to as Soma Gompa which can be a little confusing to visitors. 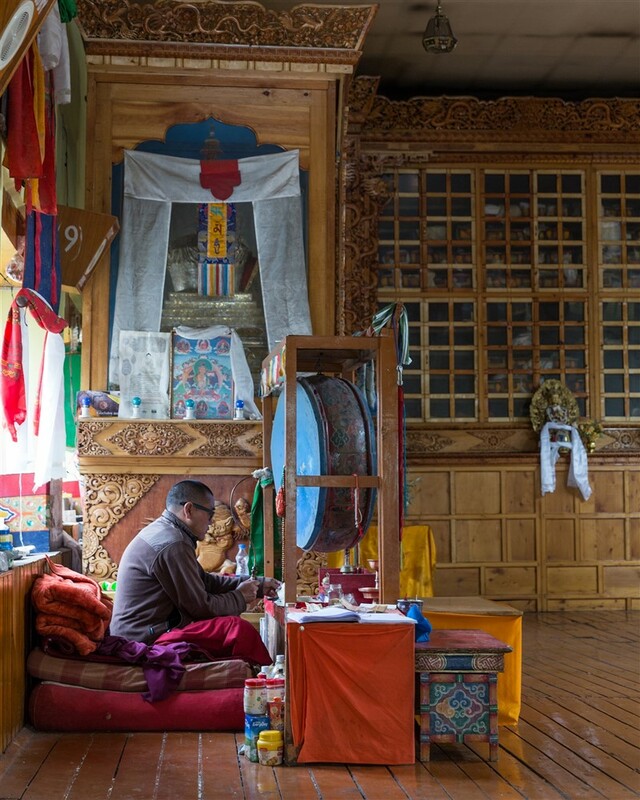 The prayer hall lacks the atmosphere, intimacy, and rich decorations seen in older monasteries around Ladakh. 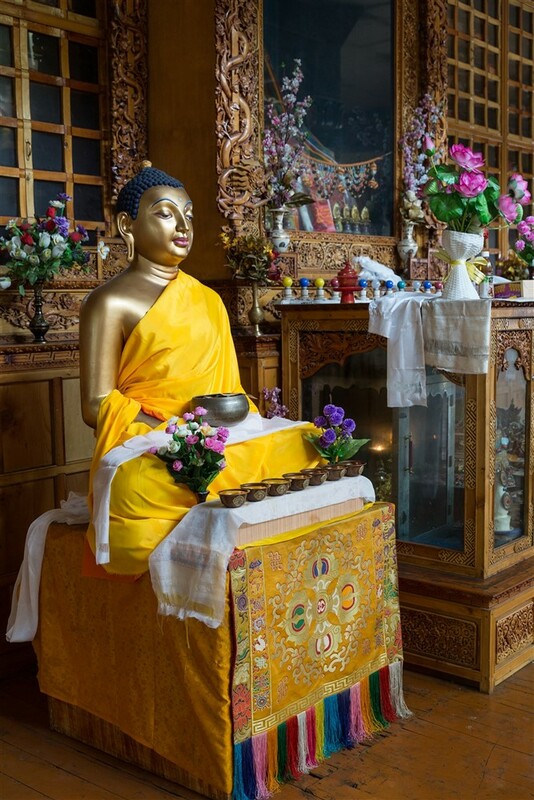 However, one bonus is that it is always open to visitors and is by far the most accessible gompa for anyone staying in the town. 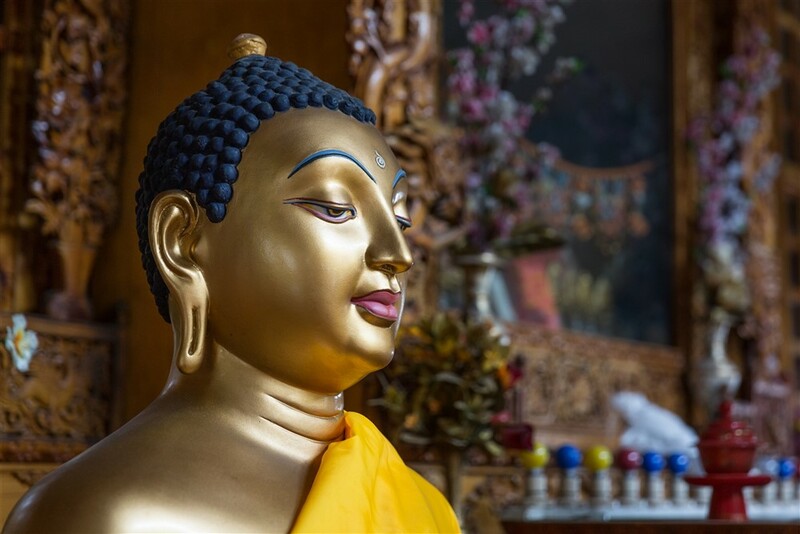 Containing a statue of the crowned Buddha (Joyo Rinpochey), Jokhang Gompa is best visited in the early morning where you can watch monks gathering for morning prayers.